chronically ill, disability, lifestyle, M.E. This is, according to blogger, my 100th post & it seems only right that it be about what started this whole thing off, the debilitating crap-tastic-ness of an M.E. flare. I know I have already done a video on this but one of the things about flaring is that they always manage to surprise you with new, even crappier symptoms that aren't fixed with your usual coping mechanisms....just me? @idlevic recommends listening to your body as much as possible, trying to keep to normality as much as possible & doing 'easy activities' in the gaps when lack of energy stops you for doing normal activities e.g. colouring books, magazines, audiobooks & podcasts. What are your coping mechanisms? Anything mentioned that you know wouldn't work for you? 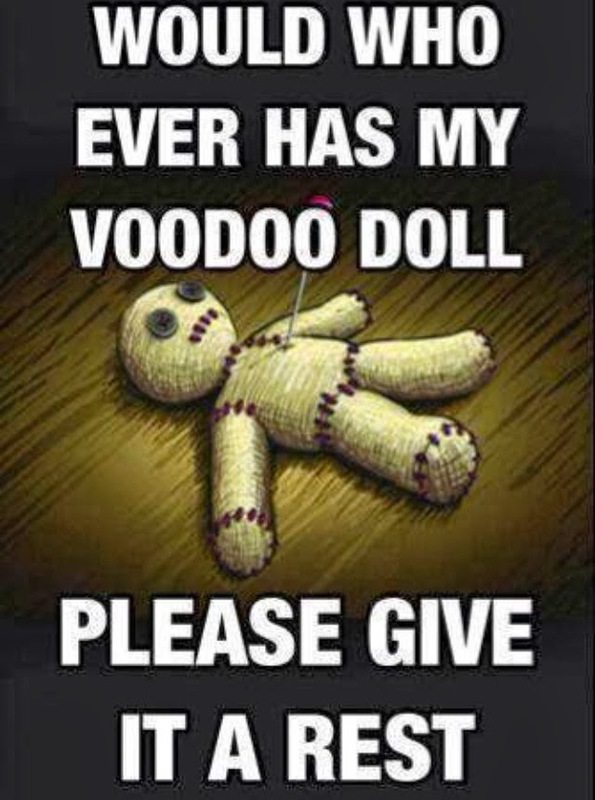 Have you any idea which nutter has your voodoo doll?